Today’s activity was on linear and exponential growth. 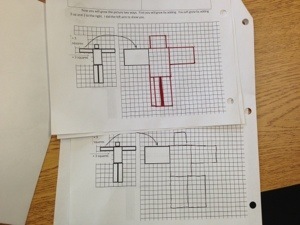 Students had to scale a model of a human by addition and scale another model by multiplication, with the idea that there are situations when linear growth is a better model and situations where exponential growth is a better model. 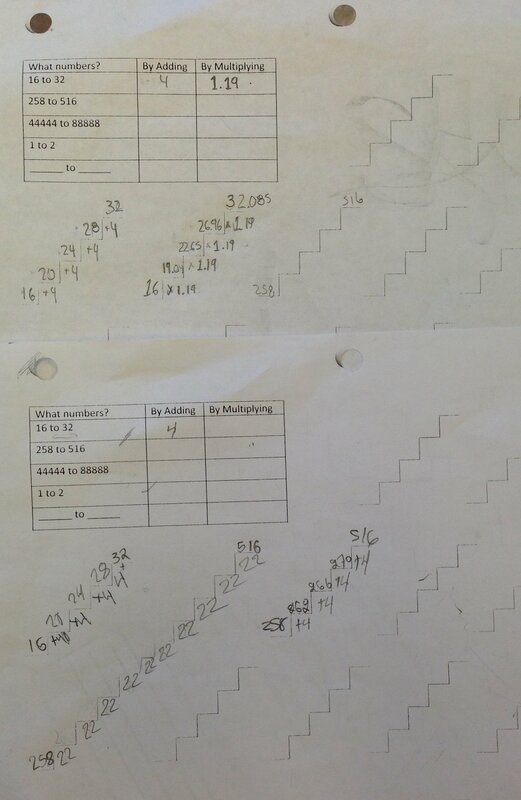 The red copy is the “growth by adding” version from a student (who was then exiled to a lone table for goofing off, sigh), the black copy is my hastily drawn version of the same from when one class didn’t quite get as far as I would have liked before the debrief. Funny how the debrief has to happen anyway. Interesting that many students instinctively thought they were doing something wrong when their model “turned out funny”. Also curious to see how easily students doubt themselves and how hard it can be for them to defy convention.